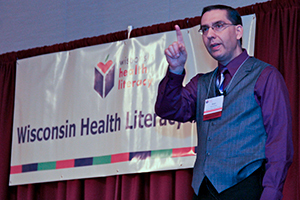 We’re glad you are joining us for the 2019 Wisconsin Health Literacy Summit. Here is information to make the most of your Summit experience. 2. If driving to Monona Terrace, make a plan on where to park if the ramp is full. 3. If staying at the Concourse Hotel, prepare for your walk to the conference center. Before the Summit begins we recommend downloading Summit materials from the Guidebook App or from the registration website. IMPORTANT: You will need to remember your username and password from the registration website to complete evaluations at the Summit. On the home page, scroll down to your list of Pending Activities and select this activity. Select Materials to review and download the course materials. Select Evaluation to complete the evaluation. If you want to follow along with speakers and/or to take notes, you’ll need to download or print copies. To save trees, there will be no paper copies available at the Summit. If the PowerPoint presentation for your selected session is not on-line, please check back later. Some sessions may have no PowerPoint. Materials will be available on the website for 35 days following the conference. If you selected breakout sessions during your registration, those choices will be listed on the back of your name badge. Be aware that some of the rooms are expected to fill up, so plan accordingly. Be sure to check out the bios of the breakout session presenters here or on the conference app. They are not included in the printed program. If you will be driving, the most convenient parking is in the Monona Terrace parking ramp. Please be aware that the cost of this parking is $16/day. Monona Terrace has alerted us to expect tight parking conditions during the Summit, as there are other large groups using the facility at the same time. The parking ramp is a city facility, so it also is open to other downtown vehicles. Use this link for directions to Monona Terrace and other nearby (and mostly less expensive) parking facilities. Allow plenty of time to get parked and to find another close-by facility if the Monona Terrace ramp is full. There are many one-way streets around the Capitol Square and much street construction in progress, so getting delayed or confused is likely. Dress comfortably in business casual. Keep in mind that some of the meeting rooms could be a little chilly. If you’re driving to Monona Terrace or staying at the Hilton, you’ll have covered access to the convention center. If you are staying at the Concourse, be prepared for weather as it’s about a 10 minute walk. Projected forecast is in the 50’s with chance of rain. If you identified special dietary needs on your registration, these will be reviewed by Monona Terrace Catering staff to determine if advance preparation is needed. Those requesting gluten-free will automatically receive a meal ticket when you pick up your registration packet. All meals automatically include a vegetarian option. Annie will be available for book signing on April 3. You may bring your own, or purchase one at the Summit. To maximize your Summit experience, join our mobile app, Guidebook. It’s available from your computer, tablet, iOS or Android device. Download the Guidebook app, create a free account, and use the passphrase WHLSummit2019 to load event materials. Share Summit observations on Twitter at Twitter.com/wisliteracy using hashtag #HLSummit2019. Like us and watch for posts on Facebook at Facebook.com/WisconsinHealthLiteracy. Monona Terrace has wireless internet free through its “Monona Guest” network. Hi-speed internet is available for $10/day. If you’re here Monday, you may attend this free pre-Summit session whether you pre-registered or not. 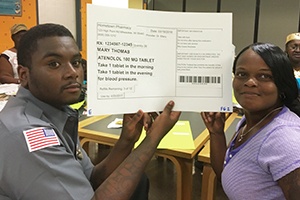 Listen to a panel of speakers discuss their experiences implementing patient-centered labels. For those wanting continuing education credits, you will receive a form when you check in at the Summit as well as instructions on how to do this electronically. Your certificate will be emailed to you. Be sure to join us for lunches. Tuesday “Lunch Bunch” is an opportunity to informally dine with colleagues who work in similar work settings. See the list of options in the Summit program when you arrive. 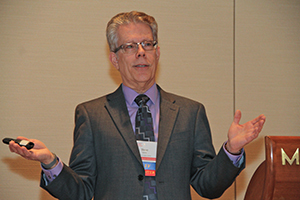 Wednesday Lunch is open seating and includes a brief general meeting of the International Health Literacy Association (IHLA) as well as brief meetings of select IHLA Interest Groups which will occur at a few designated tables. Don’t miss this event Tuesday evening, 5:15 – 7:00 p.m. Even if you didn’t pre-register, come for the informational poster presentations or just to tempt yourself with tasty hors d’ouevres. Don’t forget to bring cash for your favorite beverage. Please stop by and visit our exhibitors, including some of our Summit sponsors. They have interesting information to share which can help you in your work. Please make a point to thank our sponsors, who have made this Summit possible.